epiQ Tracks deliver improved performance, speed, and control without the use of heavy metals or toxins. epiQ Tracks innovative technology provides a performance enhanced running track that delivers improved speed and control. High-grade recycled materials and superior quality control result in the most intelligent running tracks available. 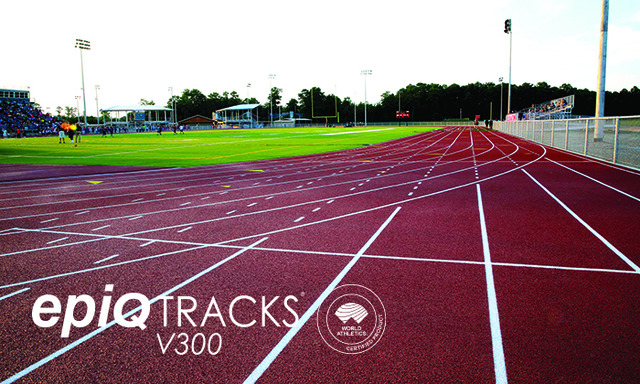 The paved-in-place epiQ Tracks V300 system is now an IAAF certified product. epiQ Tracks® offers three different system variations geared for every specification. Take a look at the distinctive qualities of full pour, paved-in-place, and sandwich systems. Through seven different products, epiQ Tracks systems provide intelligent design and consistently outstanding performance. epiQ Tracks systems deliver superior field event areas to complement your running track. 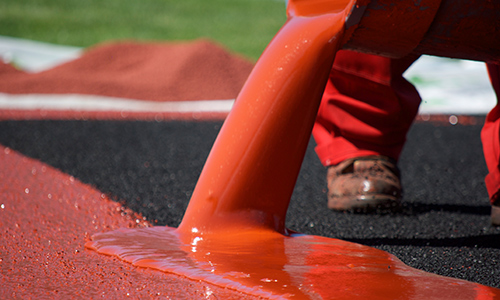 Learn more about your options to re-top your running track surface. 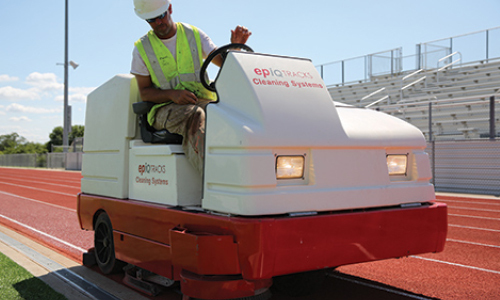 Extend the life of your running track with the epiQ Tracks Cleaning System. Search for every epiQ Tracks project in your area. 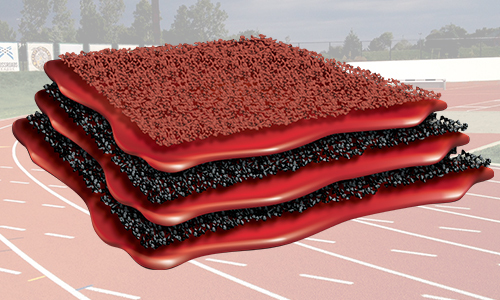 epiQ Tracks sports tracks offer the most innovative, non-petroleum-based, durable running tracks on the market. Our athletic tracks are faster – using performance-enhancing materials that deliver improved speed and control; smarter – made of recycled materials and superior quality control; and stronger – with unmatched quality and running track system stability. With epiQ Tracks running tracks, athletes are able to maximize their performance by making the most out of the characteristics of the surface. Running track athletes not only see an improvement in speed and control, but also experience high energy return on their strides, reduced roll time upon impact, and solid support, increasing comfort levels and minimizing injuries during practice and competition. 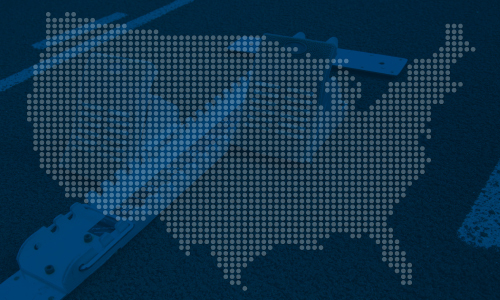 Facility owners also benefit from epiQ Tracks running track installations. Surfaces are long lasting and guaranteed to provide years of maximized performance. Additionally, the running tracks are optimized for full performance under any weather. This allows schools and project owners to hold practices and usage as scheduled without concerns for downtime. epiQ Tracks delivers the best product line of sports tracks on the market in an eco-friendly and clean method. 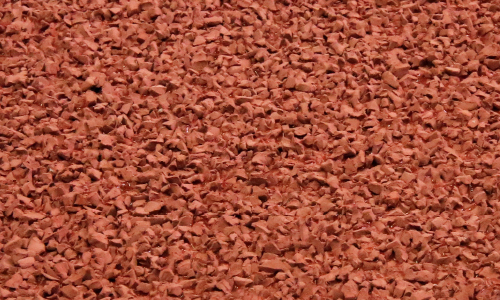 With Hellas’ eco-manufacturing processes and non-petroleum based materials, facility owners can take pride of having a running track surface that has minimal effect on the environment. With seven different running track products and four different IAAF Certified sports tracks, epiQ Tracks is able to deliver for every need – from professional indoor surfaces and Olympic-caliber running tracks for world-class athletes, to recreational sports tracks and field event areas. No matter the usage, environment, or budget, Hellas’ epiQ Tracks is the solution for every project. epiQ Tracks is a product exclusively sold and installed by Hellas Construction. This means that every project is completely control by Hellas from start to finish. By manufacturing its products and employing its construction and track installation crews, Hellas ensures that every completed epiQ Tracks running track project maintains the superior quality it is known for. Currently, epiQ Tracks has four IAAF (International Association of Athletics Federation) certified track systems – Z5000, DYAD, X1000, V300 and S200. 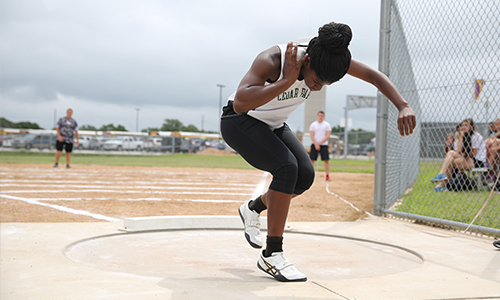 To be an IAAF certified track, the surface must meet specific Track Synthetic Surface Testing Specifications in the areas of imperfections, evenness, thickness, force reduction, vertical deformation, friction, tensile properties, and color.